In addition to attending seminars and reading books and articles on dog training, SMDTC class instructors are required to train a dog to basic titles in obedience (to teach Puppy, Home Manners, Public Manners, and any of the obedience competition classes) or agility (to teach any of the agility classes). They must assist the level they wish to teach at least twice within a year of applying to apprentice. They then must successfully apprentice the class, which requires that they take the role of “lead instructor” under the guidance of an approved instructor. Finally, they must be approved by the Training Committee. Ladina has been teaching classes at SMDTC for almost for almost 10 years. She started out as a pet owner who wanted her first Labrador Retriever (Mocha) simply to have some manners. She got hooked on training & the rest is history. Mocha earned his AKC obedience CDX & GN titles, AKC rally RE title, & UKC UCDX title. She also put UCDs on Labs Butter & Ruby, a CD on Butter, REs on Butter & Ruby, & an AKC obedience BN & rally RN on her youngest Lab, Kona. Kona left us way too early. Ladina recently got an English Cream Golden Retriever puppy named Diva & Diva has earned her AKC CGC title & AKC STAR Puppy designation. Diva is also a certified Pet Therapy Dog through Pet Therapy of the Ozarks & visits two facilities a month. Mocha is no long with us, but both he & Butter (retired) were also Certified Pet Therapy dogs with Pet Therapy of the Ozarks. 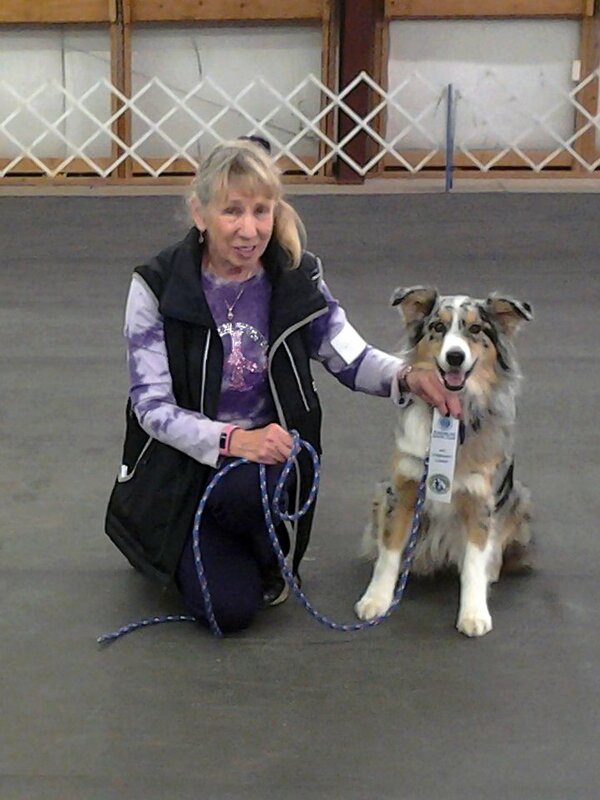 Ladina currently teaches AKC STAR Puppy, Home Manners, & Public Manners classes & is an AKC CGC Evaluator for SMDTC. 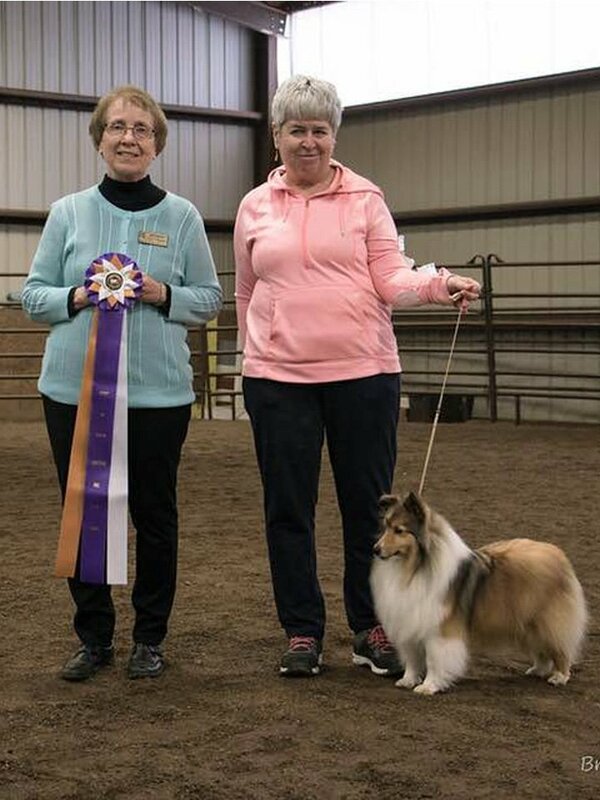 She is also the current SMDTC Vice President & Membership Chair & has served in the past as the Trial Chair of the AKC obedience & rally trials, Assistant Trainer, on the HMO training committee, & served on the SMDTC nominating committee. She is also currently on the board for Pet Therapy of the Ozarks & is a former President of Competition Dogs of the Ozarks. Irene was always passionate about animals even though she was not allowed to have any and didn’t have her first dog until she was 22. That was a German Shepherd mix that was rescued twice. First from the shelter and then from the people who abused her. Irene started rescuing dogs from the vet she worked for and then managed an ASPCA for a few years before starting her own business. Those 2 jobs taught her a great deal about dog behavior. 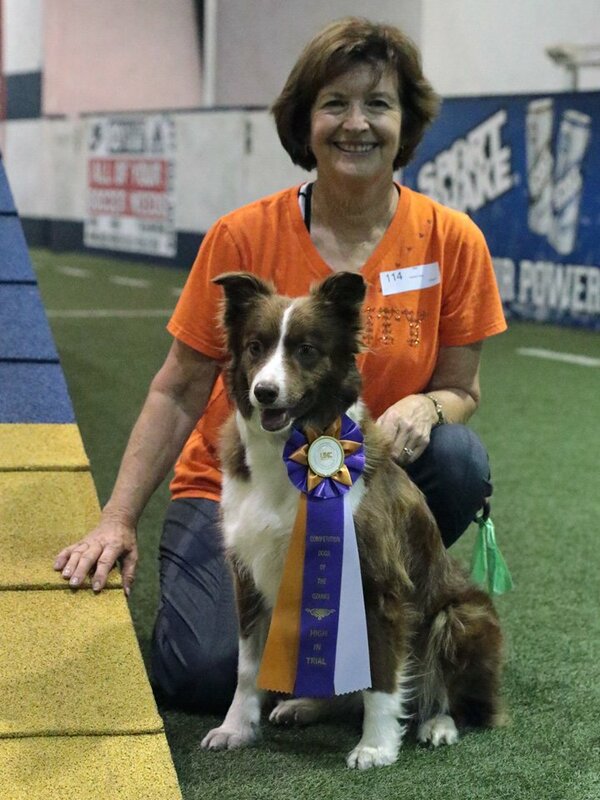 Irene came to SMDTC in 2012 with her first Australian Shepherd, Dakota, who was 6 when she was invited to join the Ring Ready class. 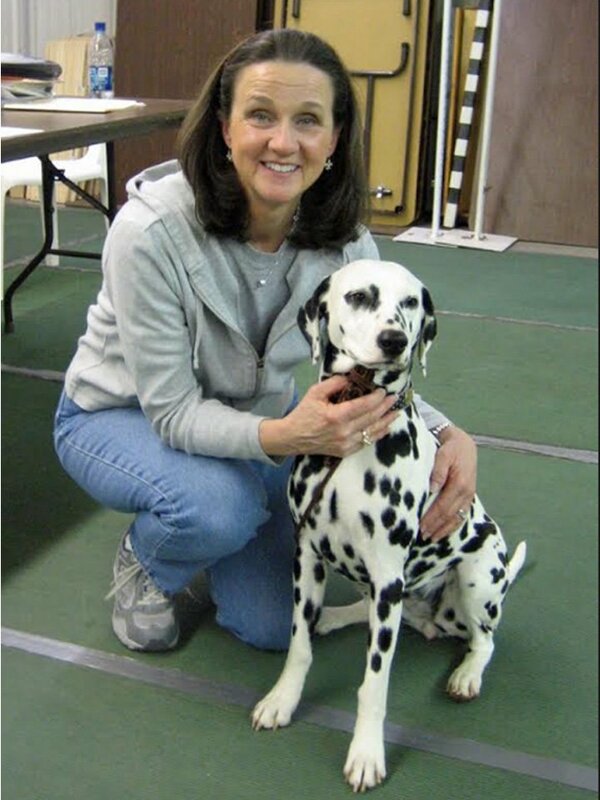 That was the start of Irene showing dogs and like a lot of us got addicted because by the time Dakota died at 10 in 2016, she had 22 titles in Agility, Nosework, got her Rally Excellent title, UKC open obedience and 2 legs towards her AKC utility title. Her current girl, another Aussie has taught her the most about dog training and behavior since she is a very aroused, high drive dog. She has gone to may seminars by some of the most prominent dog trainers and has watched countless videos trying to learn as much as possible and has assisted in many classes at SMDTC. Gracie-Joy is also very diverse and at 2 years old has 15 titles in Nosework, tricks, rally and obedience and will be awesome in agility if she manages to stay in the ring. Irene loves teaching Home Manners and helping people solve problems so that their dog is a happier, more well adjusted member of their family. She also is an AKC CGC Evaluator. 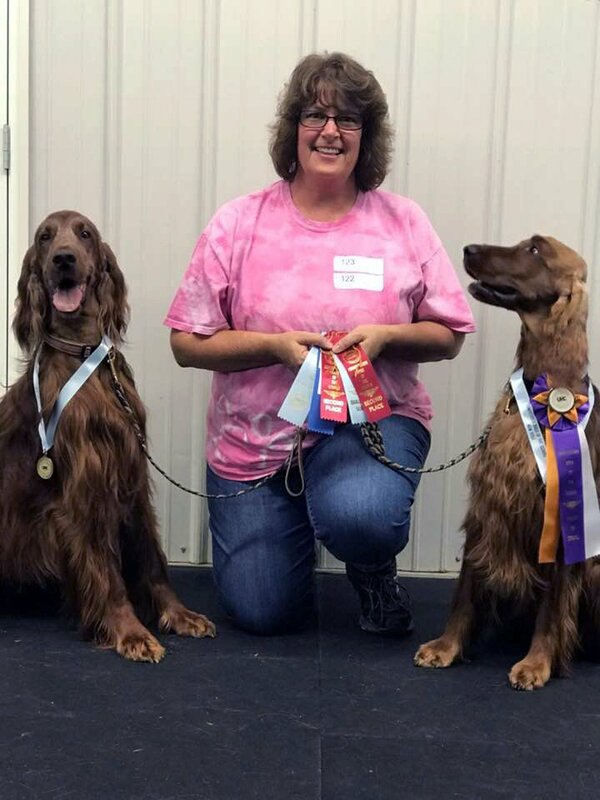 When Lorri Sheets started training at SMDTC in 1999, she found a group of similar individuals with a passion for spending time with their dogs, and the desire to engage in fun canine activities and games. 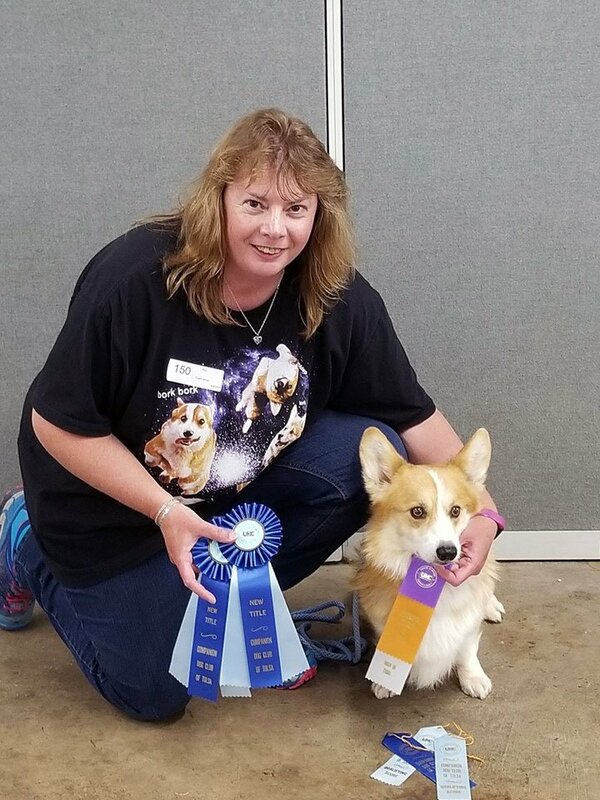 Lorri has served SMDTC in a variety of ways, but especially enjoys teaching others effective ways to communicate, live, and play with their canine companions. 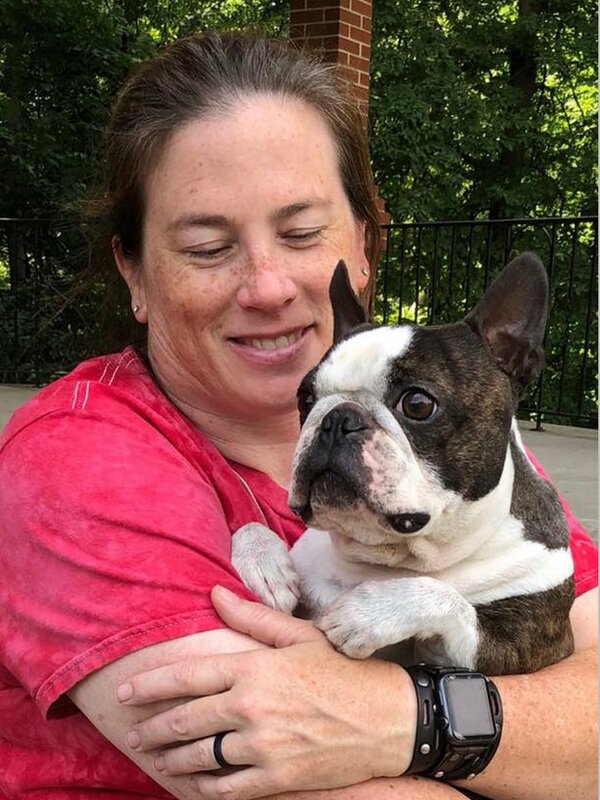 Lorri provides pet therapy with her Boston Terrier “Smiley Miley” through Pet Therapy of the Ozarks; and she competes in agility, rally and obedience trials with her other Bostons, Kit and Jimmy. I have been in the club for 20 years and been teaching for around 17 of those years. I work with all kinds of breeds. I can teach puppy class, Home Manners, Public Manners, Obedience and Rally (Novice and Advance). I have assisted with Beginner Novice, Novice, and Open Classes. I have Doberman Pinchers and I'm working with, Tray (Doberman) in Utility. I enjoy working with people and helping any way I can to teach you and your dog. Sarah has been involved in dog training for almost 30 years. 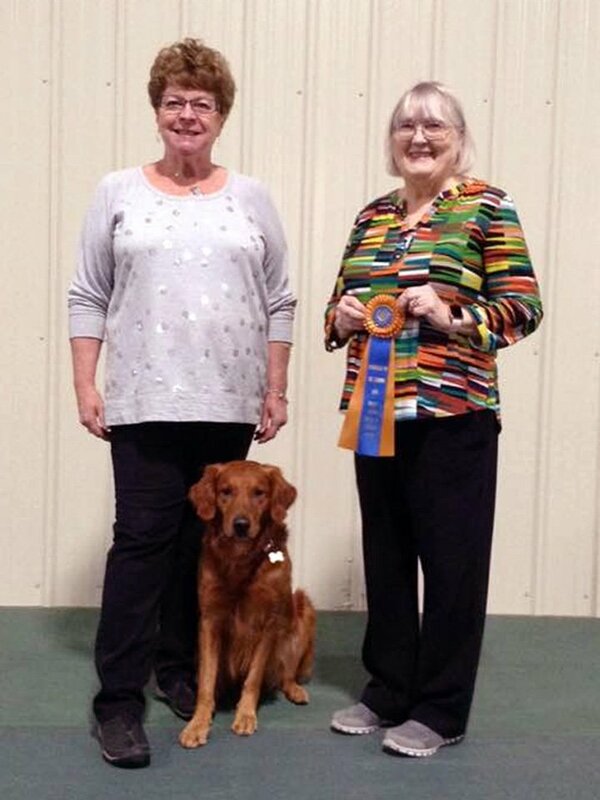 She has served as Training Director, Agility Chairman, Event Chairman, Membership Chairman and Treasurer for SMDTC and is a founding member of the UKC Club Competition Dogs of the Ozarks. She has trained 5 Golden Retrievers, 4 Irish Setters and 1 Smooth Fox Terrier. 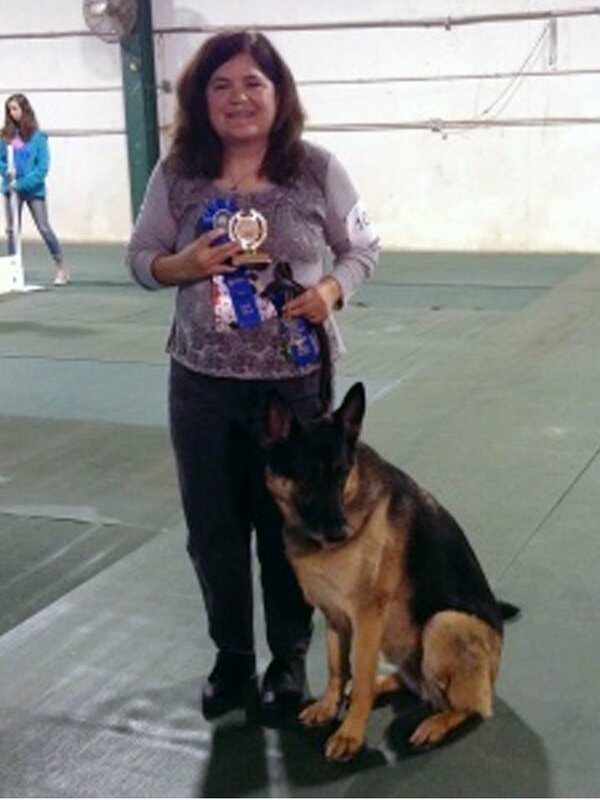 Sarah competes in AKC & UKC Events. She has over 130 titles in Obedience, Agility, Rally, Tracking, Tricks, Conformation, Hunting, Scentwork, and Nosework. She also handles other breeds in conformation. She is an AKC - UKC Obedience,Rally, Nosework, Scentwork judge. Sarah teaches advance obedience classes and Scentwork classes. Sarah is also an instructor and judge for 4-H clubs in our area. I started volunteering for a boxer rescue in 1999 which brought many boxers through our home and lots of training and learning experience. In 2007, I co-founded Boxer/Schnauzer Rescue of the Ozarks with a friend. In 2000, we joined Springfield, MO, Dog Training Club to help make our boxers good citizens. I did basic manners with my boxers, and the Canine Good Citizen. In 2012, we ventured into the world of conformation by adding a Standard Schnauzer puppy to our home. Since then we have brought three other standard schnauzers home. I have attended seminars with Brenda Aloff, Nicole Wilde, Judy Luther, Ian Dunbar, and others. I have organized training with Jim Crosby, a nationally known dog bite expert, for law enforcement and the local community. I have brought Judy Luther in to speak with people about dog behavior. Overall, I have trained dogs in obedience, rally, therapy, conformation, herding, barn hunt, dock diving, drafting, live theater and probably stuff I’m missing! Pam has been training since 1989. She has put 2 CDs, 1-UCD, 2-UAGIs, 1-UAGII, 1-UACH, 1-ThDA & 3-CGC’s on 3 Dalmatians. For SMDTC she has taught STAR Puppy Soc, Agile Puppy, Versatile Puppy, Home Manners, Public Manners, Novice, and Agility. She has been a member of The Association of Pet Dog Trainers (APDT) for about 14 years. Her attendance at several seminars, most recently APDT in 2005, 2006, 2010, 2014 & 2018 helps her to keep current on recent training methods. Pam is a member of Pet Therapy of the Ozarks (PTO) and she and her dalmatian, Meela, make pet therapy visits to several locations. Pam is currently serving on the board of PTO. Pam has served on the board of SMDTC several times, serving as President 2004-2006, and Training Director (2012-2014). She served as enrollment secretary for five years. She also served on the training committee, building committee, Public Relations Committee and various club trial committees since joining the club in 1989. She currently has 2 Dalmatians and 2 Gordon Setters. 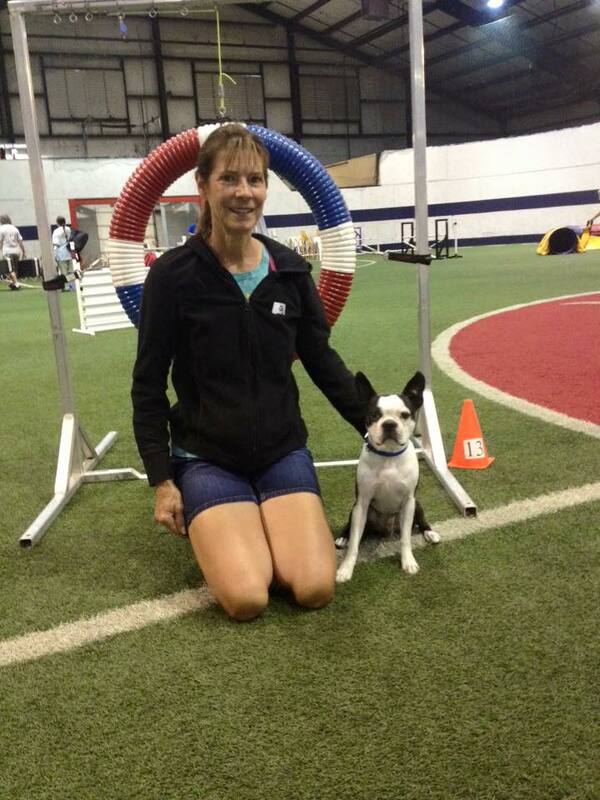 I first got involved with training when I got my Boston Terrier Bradley. It was obvious after puppy classes that we had more training work to do. On the suggestion of Carolyn Krause I enrolled us in agility classes at SMDTC in 2002. I also got involved teaching puppy classes for Firedog and in about 2005 I started teaching agility classes for SMDTC. Why agility you ask? Bradley and I fell in love with agility because it taught us so much and it was such fun! I absolutely loved watching us grow as a team. I love training and teaching agility so much that I asked a friend if she would kindly allow me to train her Dalmatian for agility. She immediately agreed and I was off on a new adventure. Gambler is an amazing dog and we truly enjoy getting to play together. It was wonderful for me on many levels because it helped me as a trainer and as an instructor. 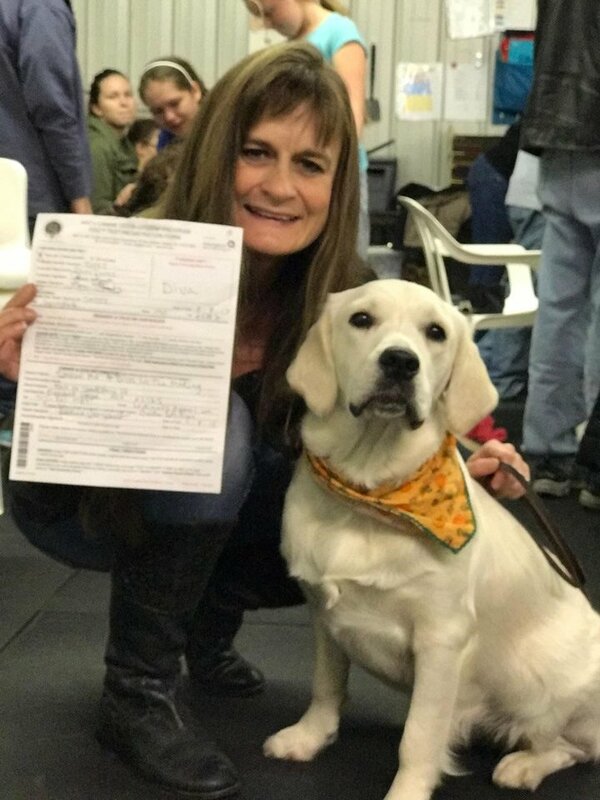 I have trained and titled dogs in dock dogs, conformation, obedience, agility, tracking, rally, barn hunt, pet therapy and would like to find time for nose work someday. All of the dogs I have trained have multiple agility titles in 3 different agility venues. My dogs and I compete in a lot of performance events but I will always have a love for agility. When we go in the ring we aren’t competing with anyone but ourselves, my goal is for each performance to improve over the last. It isn’t about blue ribbons, double Q’s, or MACH points; for me is about getting to play and run with my best friend. 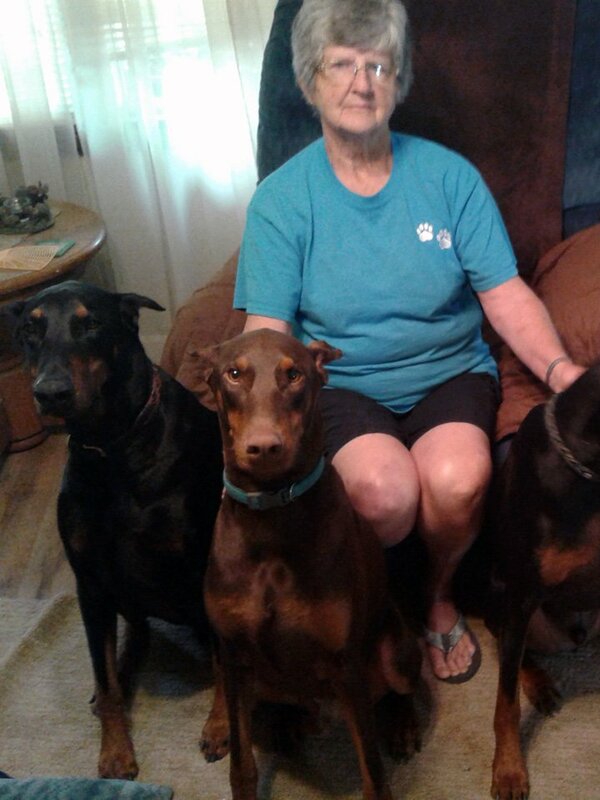 Jane Collins has had a passion for dogs since childhood. She attended her first obedience classes with her black Lab, Pepper, when Jane was eleven years old. Since that time she has worked in obedience and tracking with other Labs, a few Dachshunds, and a German Shepherd Dog, Lexi. She has also discovered the sport of Nosework and is hooked! In addition to teaching classes for several years, Jane has served the Club as Insurance Advisor, President, Secretary and Training Director. 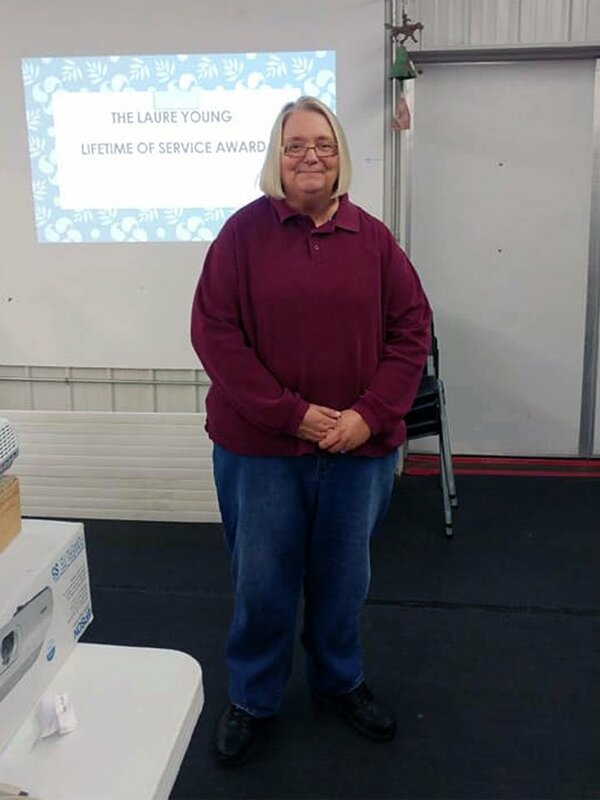 She was also the coordinator of the fundraising garage sale which raised money to purchase bullet proof vests for the Greene County Sheriff K-9s. My love for dogs started when I was 12 years old. Her name was Lady, a collie. I had no idea how to take care of her, or how to train her. I read books and tried different ways on how to teach her. I probably didn’t get very far but she was my pal. I even put her in a Conformation AKC Trial and got a blue ribbon. I had no idea what I was doing but I enjoyed the show. I had wished I had someone who could of helped with my dog and teach me how to handle her. Later on my husband and I have had many other dogs but mostly hunting dogs for his benefit. He did all the training and I just went along with him. I got involved with the Springfield Missouri Dog Training Club a few years back and have really learned a lot and am still learning. The wonderful people I have met there have taught me so much and it is special when you have so much in common with many people who love animals. I got involved with Agility and I am now hooked. It is such a great sport. You and your dog are a team. My dogs and I learned at the same time. I want other people to be excited about agility as I am. Cathy Hawkins, CPDT has been training dogs since 1971. Cathy created the first obedience classes held at SMDTC. Competing in AKC obedience and tracking, she has put titles on dogs from the sporting, herding, working, hound and terrier groups. She is the founder and director of Camp Jigsaw, a camp devoted exclusively to AKC tracking. Cathy is an approved AKC TD/TDX judge. 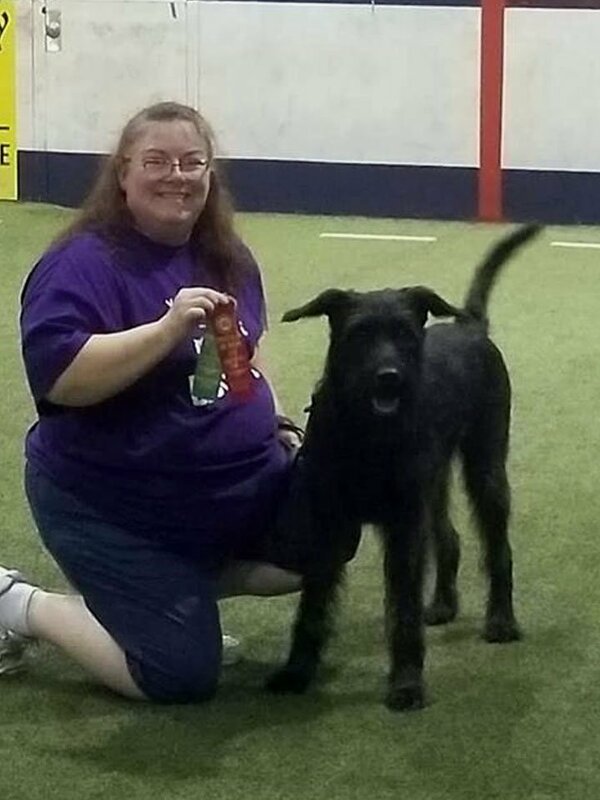 She is a member of Pet Therapy of the Ozarks, where she created a PALS (Pets As Listeners) program for the Springfield/Greene County Libraries, the Ozarks Kennel Club and is a professional member of the Association of Pet Dog Trainers. 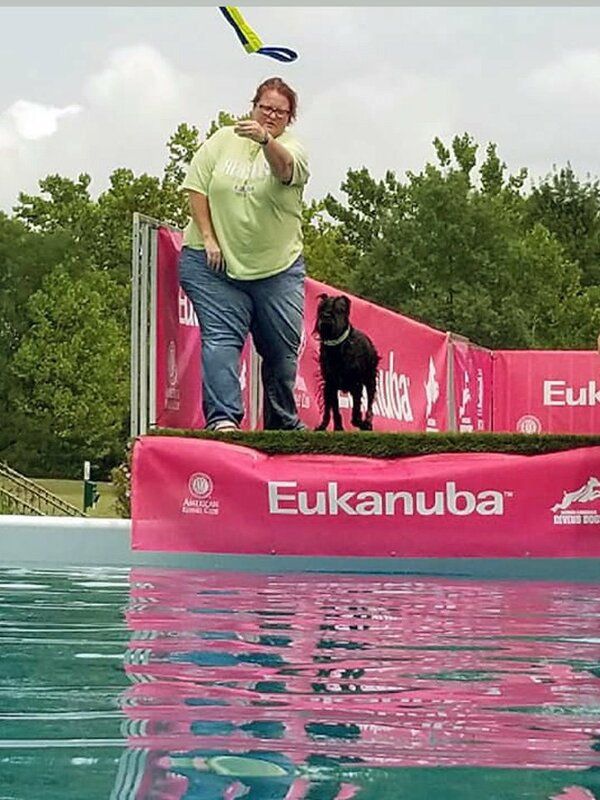 Cathy was the first person in the state of Missouri to be certified through the Certification Council of Professional Dog Trainers. Cathy is approved to teach all obedience, Scent Work and tracking classes at SMDTC.